Parque Nacional Manuel Antonio is a small national park in Costa Rica. 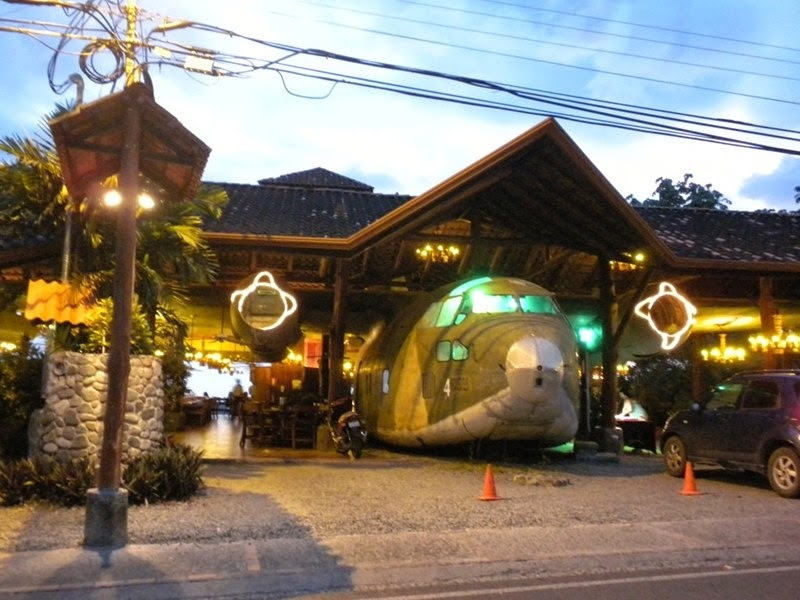 There is one interesting bar and restaurant in one in Manuel Antonio, called El Avion Bar. 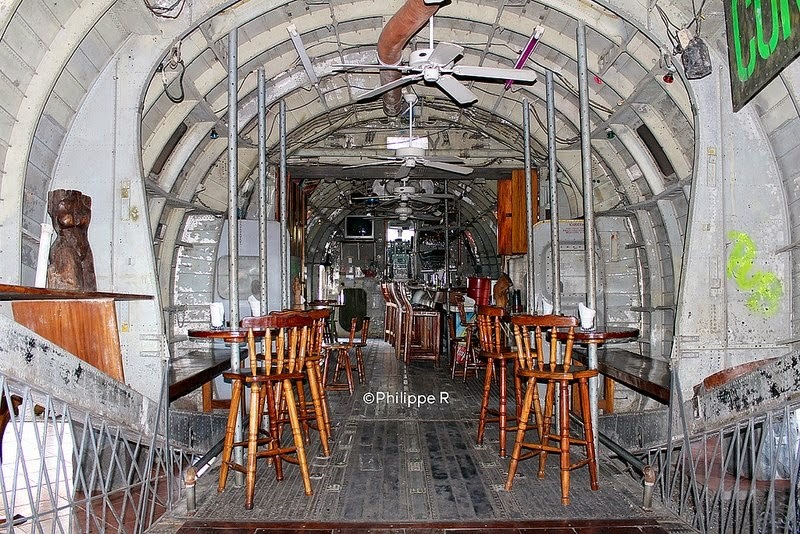 It is interesting not just from design point, the integration of 1954 Fairchild C-123 cargo aircraft is the funny part. 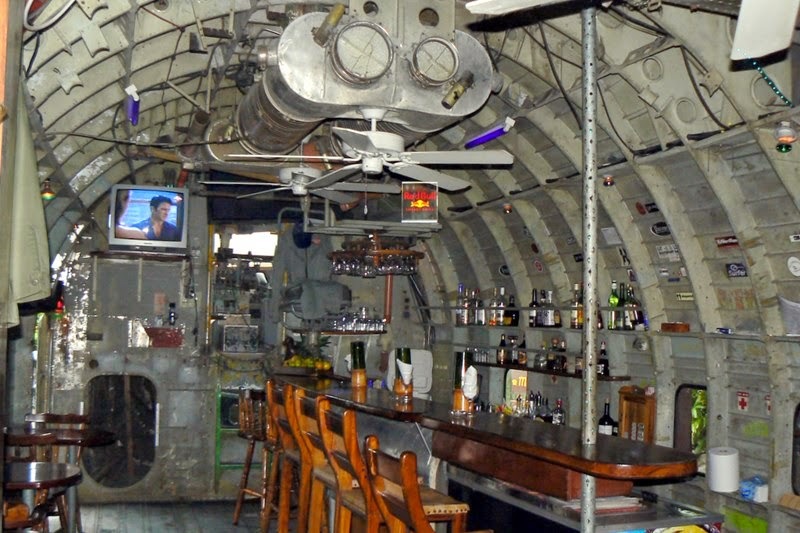 Inside this airplane is constructed a bar called Contra Bar. 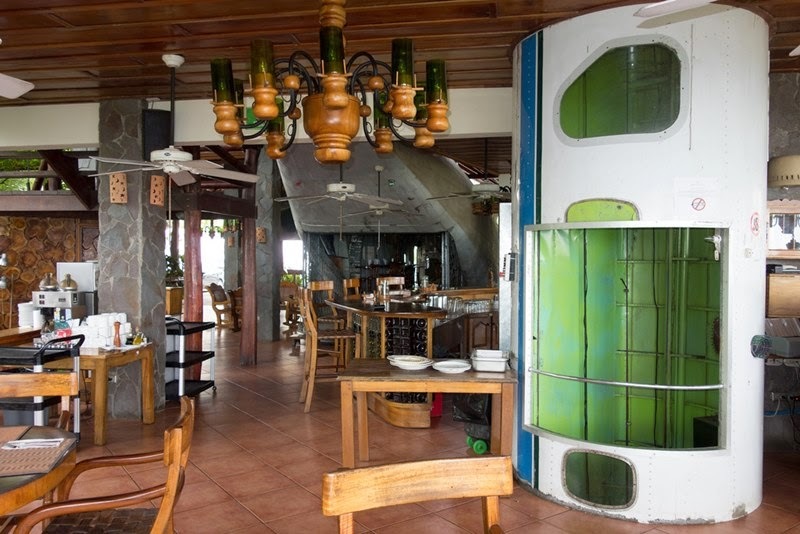 When combined with stylish interior and panoramic ocean view and pleasant weather of Costa Rica. 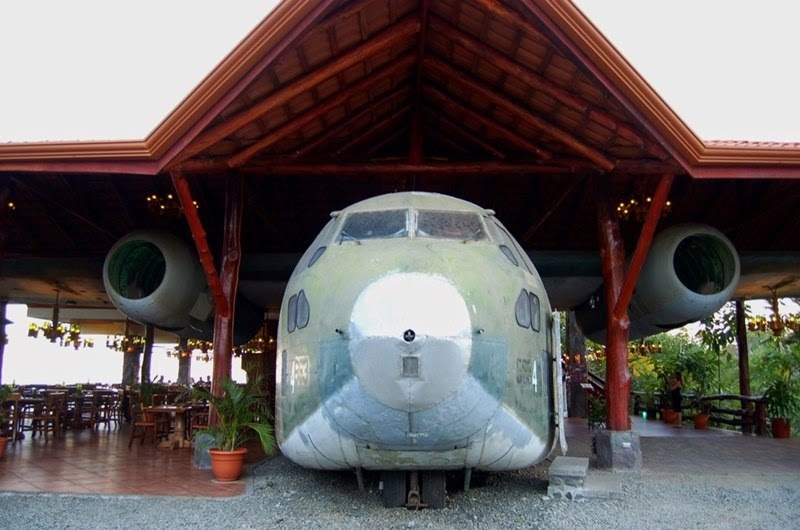 Gail Harland visits an old cargo plane in Costa Rica, converted into a restaurant, and discovers a Cold War relic involving a tale of political scandal, the CIA, arms trading and the Iran-Contra Affair. 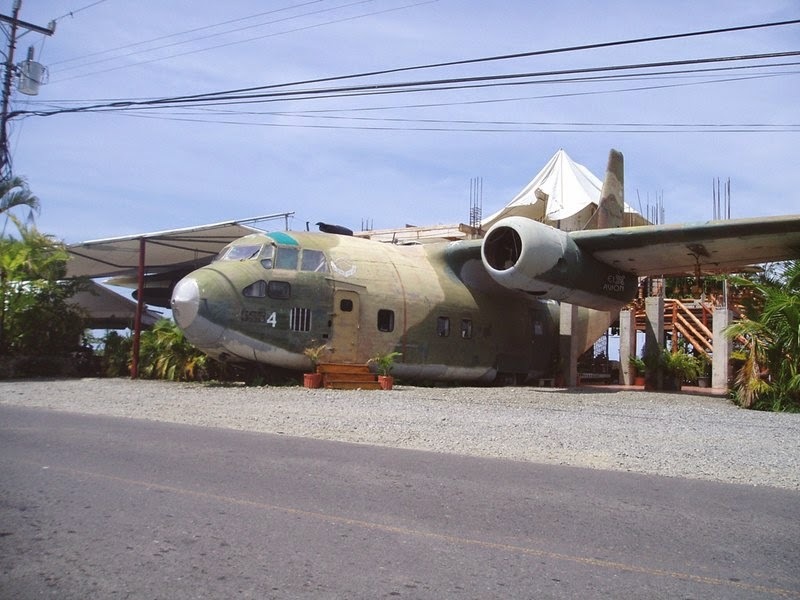 When the C-123 was shot down over Nicaragua in 1986 by the Sandinista guerillas, it left behind an American owned sister plane. 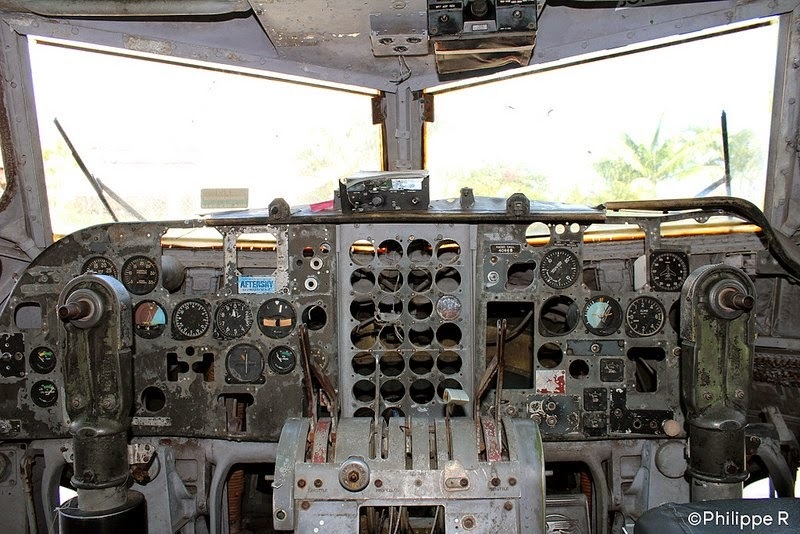 This Fairchild C-123 was a part of one of the biggest political scandals in the 1980s. The Reagan Administration set up a network of arms sales to Iran designed to win release of US hostages held in Lebanon and raise money to fund the Nicaraguan, counter-revolutionary guerilla fighters, commonly referred to as the ‘Contras’. By artificially inflating the prices of arms, National Security Council official Oliver North, was able to reap profits that could be diverted to fund the counter-revolutionaries of the Cuban allied Sandinista government. 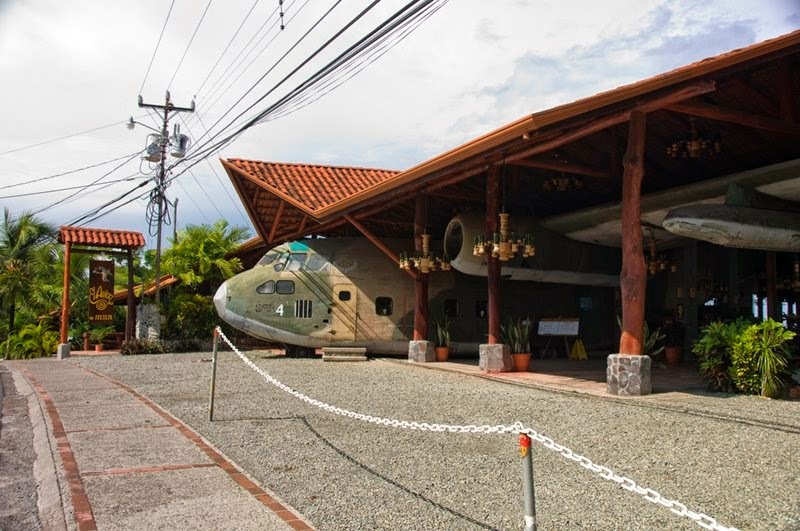 The sole survior of the C-123, CIA man Eugene Hasenfus, parachuted to safety but was captured by the Sandinista Army and it was his testimony that helped to shed light on what would only later be known as the Iran-Contra Affair. Led out of the jungle at gun point, Hasenfus’s existence set in motion an incredible chain of cover-ups and lies that would mushroom into one of the biggest scandals in American political history known as the Iran-Contra Affair. The Reagan Administration had set up an arm sales deal with Iran to win the release of some U.S. hostages being held in Lebanon and to raise money to fund the counter-revolutionary Nicaraguan guerrilla fighters. Of the $16 million raised, only $3.8 million actually funded the Contras. 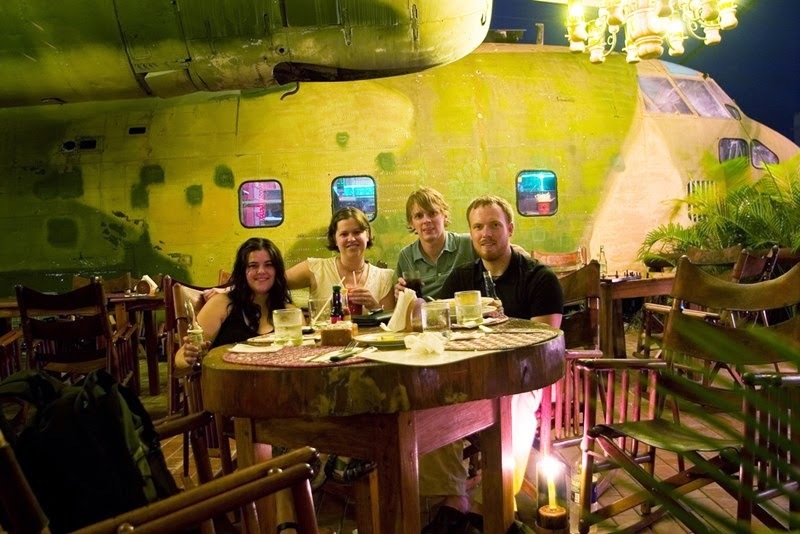 With the CIA’s help, they purchased several items, including the two C-123 cargo planes, two C-7 planes, a Maule aircraft, spare parts, and munitions. 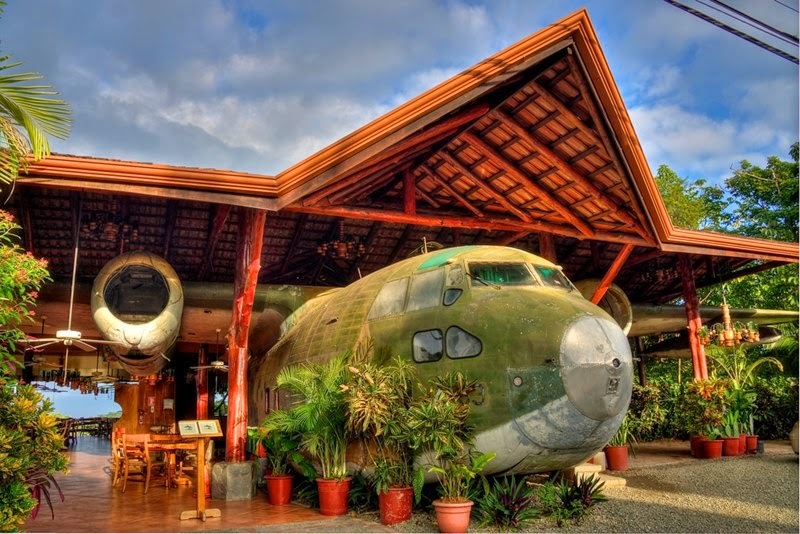 They also built a secret airstrip on an American-owned, 30,000 acre ranch in northwest Costa Rica. 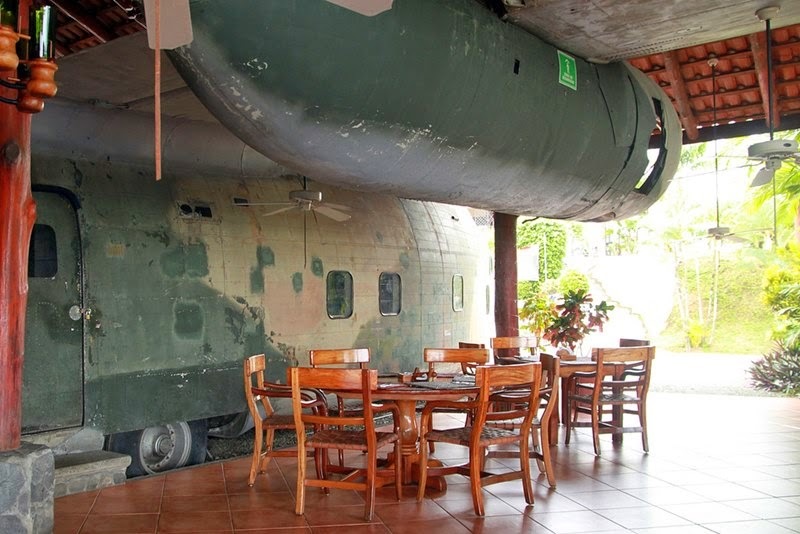 This surviving C-123 was the second of two purchased by the Central Intelligence Agency (CIA) in the 1980s and was, after the successful Sandinista strike, abandoned at the International Airport in San Jose.